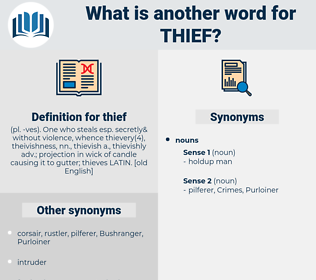 What is another word for thief? 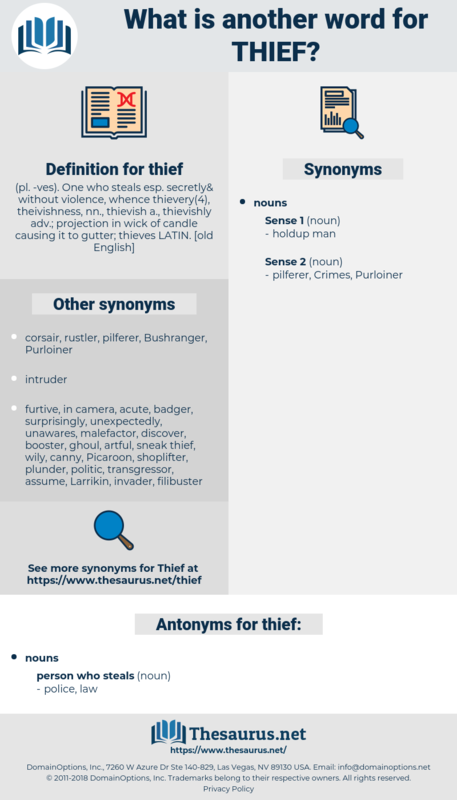 robbery, PERP, hoodlum, swindler, pirate, rabble. He believes the thief and murderer to be still in the house!
" And Miss Oliphant does not think of you as a thief," continued Hammond.